When I arrived in New Orleans after the 2005 hurricane, which caused flooding in 80 percent of the city and killed 1,572 people, the scene was quietly apocalyptic. There was dark water all around, empty highways, bodies wrapped in plastic. The calm before the storm, the saying goes. But for many survivors of Katrina, it’s the calm after the storm that truly haunts. As the dark clouds from a big storm gathered in the sky, local resident Errol Morning remembered that he was not too drunk that day, he only had a few drinks of whisky in the morning. I managed to find Morning, whose photo I took after the hurricane, again this year. But his buzz gave way to a sense of dread as water began seeping into his trailer home in a suburban area of New Orleans, slowly rose up the walls, then kept rising, all the way to the roof. He climbed on top of his home. When I saw Morning back in 2005, a local resident aged 60 at the time, he was paddling in an aluminium boat along a flooded street, using a plank for an ore. Ten years later I went to the same corner in a run-down neighbourhood. Abandoned houses are now part of the landscape. For Jane Garrison, an animal-protection volunteer at the time, her strongest impression of the city after the storm was the silence, broken by only two things: helicopters flying overhead and the occasional bark of a dog. Some of the animals were also on roofs, alone, waiting for owners who would never come home in some cases. Garrison, who now lives in Palm Springs, California, travelled to New Orleans to assist after the hurricane struck. After some preliminary research, I drove for hours looking for the same people that I documented 10 years ago. Most of them I never found: one had died, others had moved on with little trace. In a way, it wasn’t surprising. Almost the entire city was evacuated after the storm. For weeks, residents were not allowed to return to their homes as authorities tried to pump the water out and re-establish basic services. Many people never moved back. They crossed state lines instead to start a new life. For those who returned home, the reality was hard – an entire city on its knees waiting to be rebuilt. 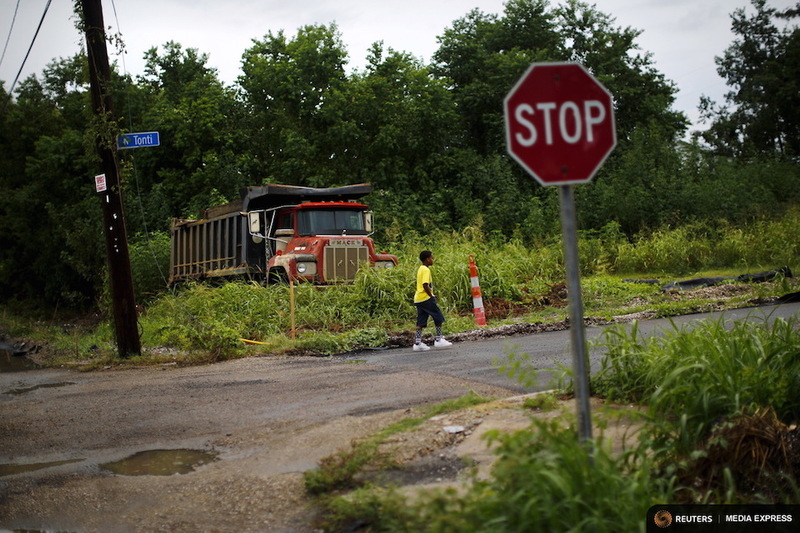 Some areas like the Lower Ninth Ward have seen many changes. The nearby levee broke, unleashing a wall of water that almost completely destroyed all the houses. The area is now rebuilt with homes on stilts. Today, the mostly African-American neighbourhood has some new residents too: whites and Latinos. When I stopped by, there was a taco truck on the corner. Some things haven’t changed. One morning, I found myself on Bourbon Street as the sun was rising and the thermometer climbed to 90 degrees. The smells of a long night of alcohol and partying rose from the street that’s long famous for attracting revellers from near and far.